FCC net neutrality protections and Title II reclassification for ISPs take effect. 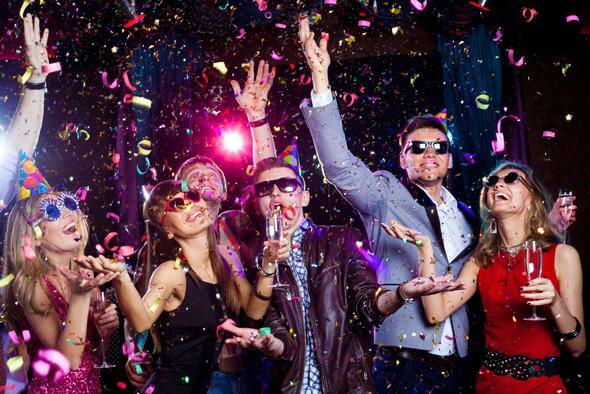 New Year’s eve or FCC office party? In February the FCC passed an Open Internet Order to reclassify broadband as a utility under Title II of the Communications Act. This is the mechanism the agency will use to protect against throttling, blocking, and content fast lanes. Almost four months later, these new net neutrality protections are finally going into effect. A group of telecom companies is suing the FCC to dismantle the rules, claiming that since Title II was intended to govern phone service, it’s not applicable to Internet providers. But on Thursday a federal court decided that the rules could be implemented on schedule. That’s not a judgement about the legality of using Title II—the real hearings should come at the end of the year—but it means that the FCC can move forward for now. So what’s going to change? You probably won’t see much difference day to day, but the FCC will be able to start working behind the scenes to stop Internet service providers from doing things like blocking and throttling. And since the new rules apply to mobile as well, the FCC will be able to enforce them whether you’re on your home Wi-Fi, on your smartphone, or tethering one device to another. The fight to protect net neutrality isn’t over, but for now it’s time to party.